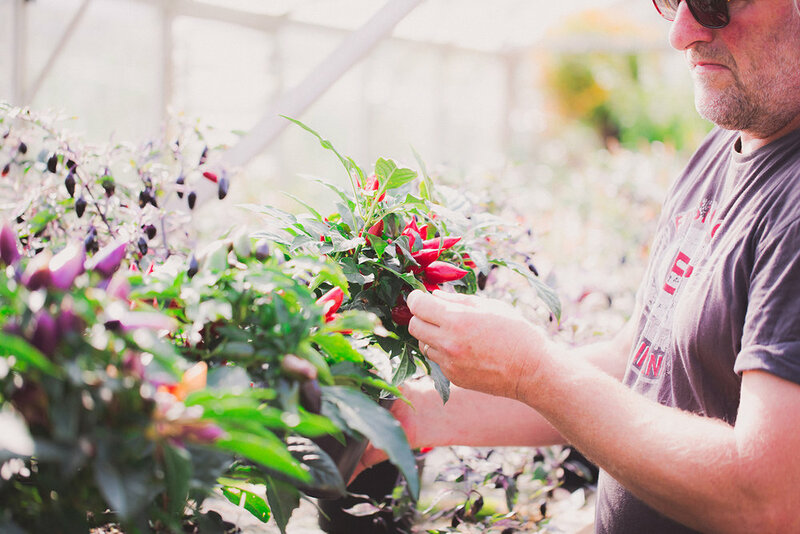 Care — The Culmstock Chilli Co.
First and foremost, use a good quality compost, believe me your plant will thank you for it and the healthier it is, the better able it is to fight off pests and diseases. We start our plants off in 3" pots, transferring them to first a 1 litre and finishing in a 2 litre pot which it will be happy in throughout the season. Of course you can put them in larger pots or the greenhouse border and they will grow in size accordingly. 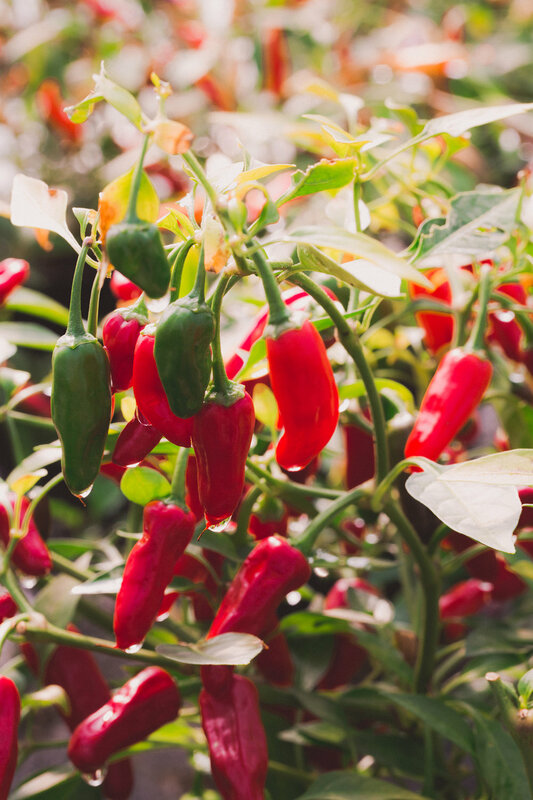 Water your chillies regularly but without water logging them and once a week add some feed. We use Chilli Focus which is a seaweed based product but any tomato feed would be fine. 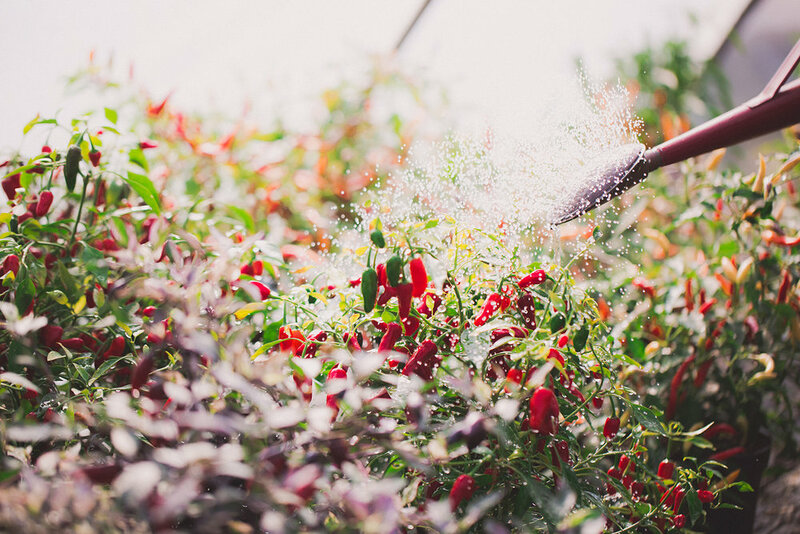 Chillies can be prone to aphids so we advise you to be visual. Check the undersides of the leaves regularly and at the first sign, scrape them off or run the leaves under the tap to clear them and this should help you keep control of the situation. On nice days, put your plant outside as then the natural predators will come around and give you a helping hand. If growing in a greenhouse or pollytunnel, grow marigolds or herbs such as basil, rosemary, thyme etc alongside them which will also encourage the hoverflies, ladybirds etc. Frogs are also very welcome as they eat the slugs which can destroy a plant. Again, keep checking. If you do need to use a spray, we use SB Plant Invigorator which is a non chemical, non biological product that will not contaminate the fruit.